With an aura that’s truly mesmerizing, beaches that are nothing less than scintillating, and music that’s all but magical, this place called Goa is a true descendant of the heavens, a god-sent gift that’ll leave in awe at all times. Answer Goa’s calling and drown yourself in its complex simplicity, its sweet tenderness, and you’ll be spoilt for reasons to come back! Seize your day in Goa my friend, for now, this magical Indian paradise is the 6th best nightlife city in the whole world! How many cities can say that now? But surely, Goa can, and deservedly so! Being more specific, Goa tourism minister, Dilip Parulekar revealed on Sunday that Goa has been ranked 6th in the world’s ten best nightlife cities. In a list put together by the National Geographic, Goa has been ranked 6th best, and this comes as a huge boost to the city’s nightlife culture! Goa is getting world recognition for several tourism related aspects. Now enlisted as the World’s Best Night Life Cities is another feather in our cap. We must acknowledge this is an honour as Goa is a safe destination for tourists 24×7 whether on or off the beach. Above & Beyond, who named their label ‘Anjunabeats’ after this beach! When you talk of fests, Sunburn lands it big time! Co-Created by Nikhil Chinapa this festival started in the year 2007 featuring acts such as Carl Cox, Above & Beyond, Axwell in the first year itself and has been growing exponentially since then! 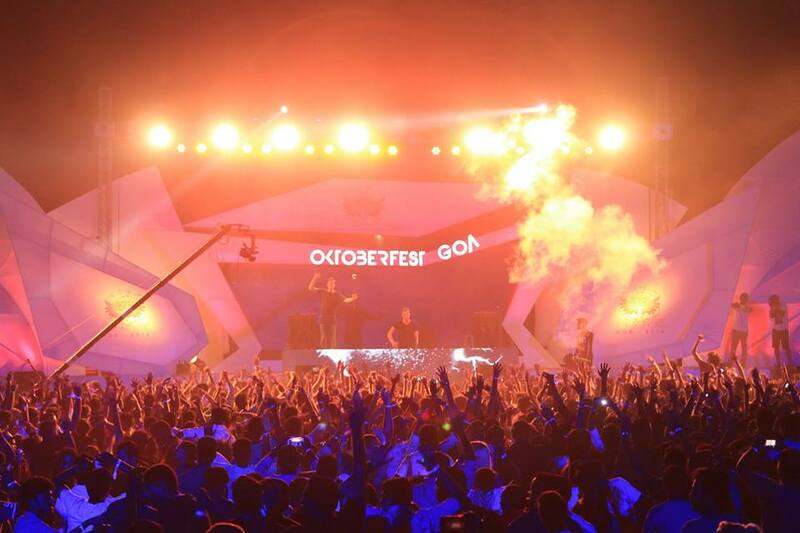 Started in 2010, Oktoberfest has brought some great international acts to India: Firebeatz, Roger Sanchez, Marco V, Zomboy, Gregori Klosman to name a few! Anish Sood, Ajit Pai, Aneesh Gera are just the start. Goa has got some serious talent, and we’ve seen it. So sit tight and be blown away by these Goan-bred hearthrobs . Be it Tito’s Night Club, Cubana, Cafe Mambo, Sinq Beach Club or a list of others every weekend in thee Goan Clubs promises a great line up! Its all well laid out, whether it be the fests, carnivals, travelling or your stay, you’ll remember it for days to come! It runs in our blood, Goans have a knack for the feel-good music, and the boat parties are just cherries on the cake! With that, we sum up our obvious excitement on this wonderful news, but before we sign off, do check out what Goa has to offer here, be it local boy Aneesh Gera’s world famous release or the Sundowners to unwind your weekend. Be on the lookout for more good news, and we’ll keep you posted! Previous article Martin Garrix releases ‘Forbidden Voices’ for Free!